According to the American Humane Association, 1 in 3 pets will become lost at some point in their life. Furthermore, studies show that without proper identification, 90% of those lost will never return home. Fortunately, microchipping your pet is one of the best ways to ensure a happy reunion should your pet become lost. Let The Pet Experts at Naperville Animal Hospital review the basics of this important safeguard. A microchip is a tiny device that’s placed under your pet’s skin during their annual preventive care exam. The microchip stores a unique ID number that can be used to contact you should your pet go missing. Once the microchip is placed, it’s registered with the national pet recovery database with your contact information. It can then be scanned by any animal shelter, control officer, or veterinary hospital. You’ll be contacted should your pet show up in one of these locations. Microchips work using a radio frequency, which is only active when a scanner of the same frequency is moved over your pet’s body. There are no batteries or moving parts. Microchips can never be lost. 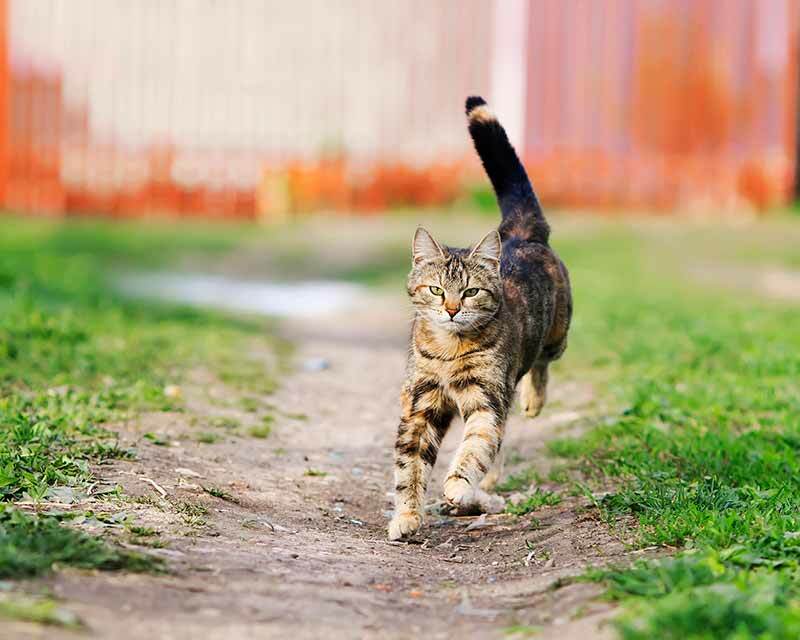 Unlike a collar and tags, microchips can never slip off or become lost. They’re a permanent way to identify your pet. Microchips are also great for indoor pets. Even an indoor pet can slip out the door or escape through a gate that was accidentally left open. There’s no better safety net for an indoor pet than a microchip. Microchips save lives. Sometimes when a pet is lost, they become injured. When a lost and injured pet is brought to a veterinary hospital for emergency treatment, we immediately scan for a microchip. If your pet is chipped, we can contact you right away for permission to proceed with medical care. Microchips work in a disaster. It’s never fun to think about, but natural disasters and the unexpected do happen. In the worst of times, microchipping your pet is the best chance you have at being reunited. Microchips are easy to place. Some pet owners are afraid that implanting a microchip will hurt their pet. This procedure, which we perform in the exam room with you, is similar to receiving a vaccination. A microchip is the size of a grain of rice, and our expert placement is quick, easy, and relatively painless. If your pet is undergoing an anesthetic procedure for another reason – such as a dental cleaning or spay – we can place the microchip at that time, eliminating all discomfort for your pet. Will I Have to Replace the Microchip if I Move? If you and your pet move, you’ll need to call the microchip company and update your contact information. However, you’ll never have to replace the microchip or get a new one for your pet; microchips last forever. Microchips are responsible for reuniting hundreds of lost pets with their owners each year. We hope this primer has given you some great reasons to consider microchipping your pet. Be sure to download our coupon for new patients for a free microchip for your pet when they come in for their first exam. If you have any questions or concerns, please don’t hesitate to give us a call. Next: Is Pet Anxiety Normal When Kids Go Back to School?